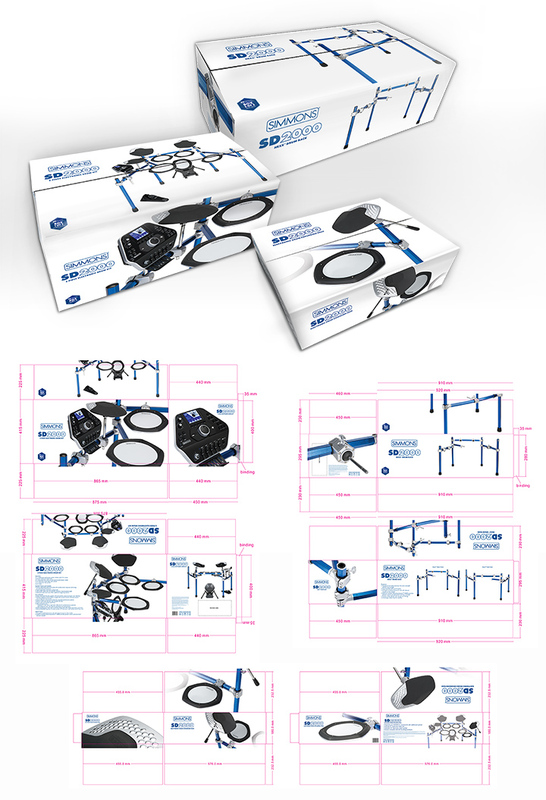 Developed new overall look for the Simmons SD2000 Electronic Drum Kit main packaging (cymbal pads, module, and rack boxes) and the expansion pack (single pad box). Responsibilities: Art directed photo shoot, did all of the retouching required for all three boxes. Developed the style for the brand across all three boxes. Implemented the new look across all packaging pieces and prepped files for release to the printer.